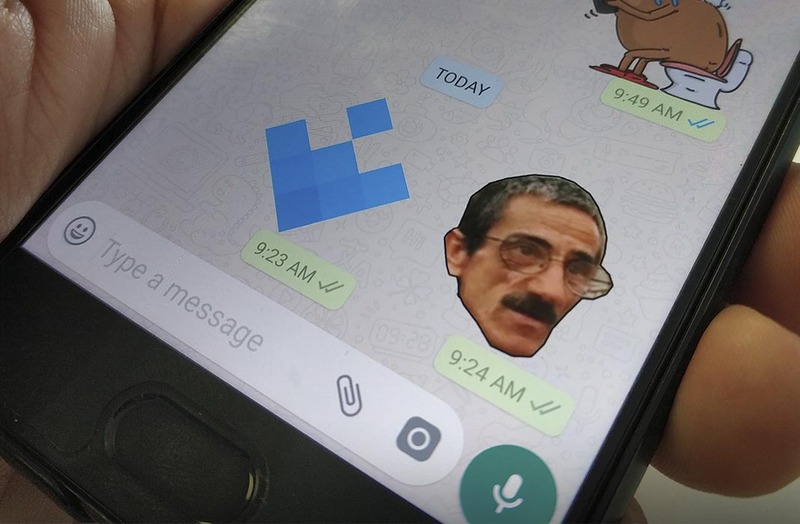 Recently, WhatsApp beta introduced the possibility to use stickers, a lot like we’ve seen on Telegram and Facebook Messenger. 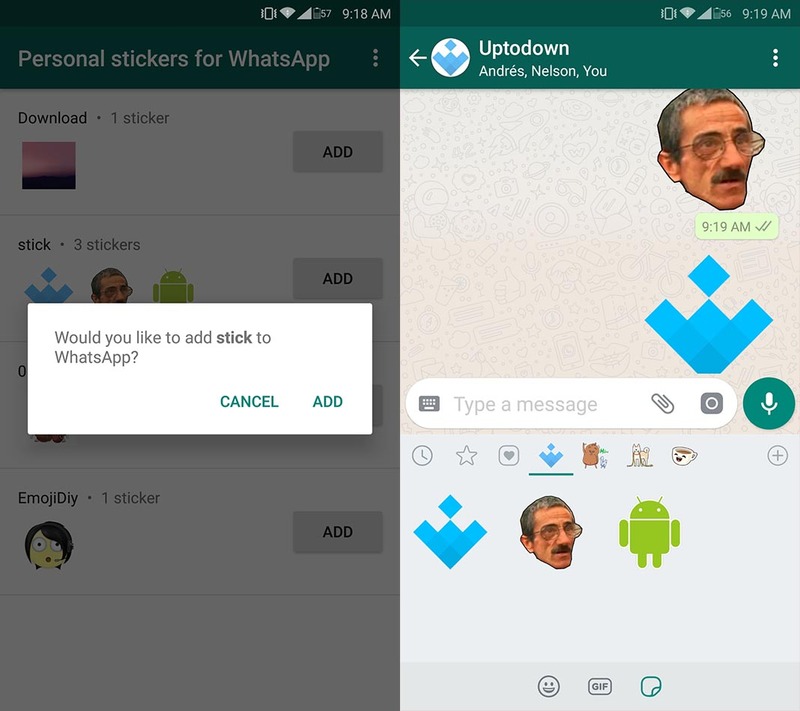 Just a few hours later, sticker packs created by users began to show up in the form of apps, with some of them already available on Uptodown. Luckily, it’s not necessary to create an APK or anything of the sort, with the existence of apps that let you easily create your own sticker packs using external images. 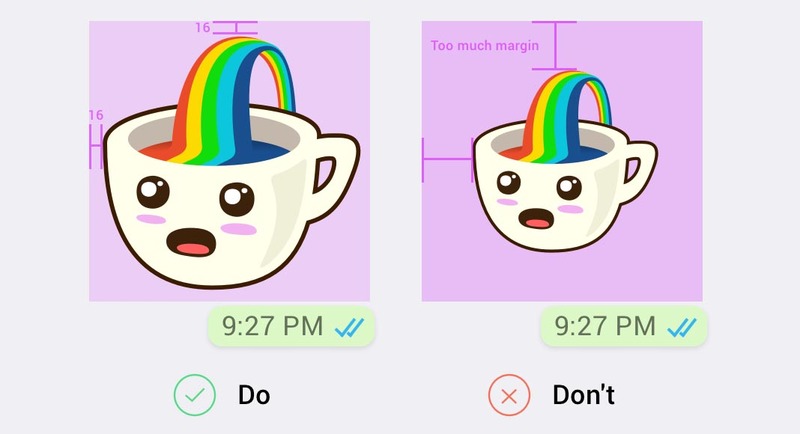 WhatsApp offers its own style guide for creating stickers. Although using the app that we recommend below, you can skip some of the requirements described in terms of dimensions and image file size, it may be a good idea to stick to these guidelines. Obviously, you’ll need an image editor of some sort to make the changes, although you can always use images you find online. Each image must have a transparent background. For this, it’s recommended to have a powerful image editor to work with layers and save the result in PNG format (note: they’ll ultimately be converted to WebP format, but that doesn’t matter). The dimensions of the image must be 512×512. Each sticker must be less than 150Kb. There are methods to reduce image sizes. For example, here’s a free program for Windows and Mac. Maintain a margin of 16 pixels between the image and the outside edge of the frame. It could also be a good idea to try out various background colors so that it can be viewed correctly independently from the wallpaper that’s used in the conversation tab. For that, the trace effect included in Photoshop is perfect to create a dark outline and emphasize the silhouette of your stickers. WhatsApp even offers a template to work with so you can easily keep all the requirements mentioned above in mind. As we’ve already mentioned, WhatsApp offers its own APK template and specific instructions to compile your own pack, but since not everyone has the knowledge (or motivation) to compile, you can use third-party apps to automate the process. In our case, we’re going to use the free app Personal Stickers, which lets you automatically import the pack to the WhatsApp app. To do this, you have to follow the steps below. The collection of images for your pack must be more than three and less than thirty. For the app to detect them, the have to all be in the same folder and in PNG format. After choosing the pack in question from the app, it will be imported to your WhatsApp app. To use them, you have to access the client and find them in the new stickers icon alongside the one for GIFs and emojis, just like we explained in this post. Why is my WiFi connection so slow?